Welcome to new Chamber Member, Acadia Quietside Shop! Please join me in welcoming our newest Chamber member, Acadia Quietside Shop. Their planned opening day is May 4 - stop by and say hi! Todd Graham is excited about opening a new store here in Southwest Harbor. "Acadia Shops are a group of shops located in Bar Harbor and, (Coming Soon), Southwest Harbor, Maine. "We are locally owned and operated, and have been for over 84 years. You could say we started at the top- the top of Cadillac Mountain, that is! Our first gift shop opened at the summit of Cadillac in 1933, and we’ve been steadily growing since then. Today, you can find our stores sprinkled throughout downtown Bar Harbor. "Our goal is to be a go-to for visitors and local residents alike, by providing quality products from throughout the area. As a local business, we’ve benefited from the generosity and support of the community, and that’s why many of our products come from Maine vendors. When you shop at one of our stores, you are supporting the local economy. "Whether you’re here for a weekend or the whole year, you’ll find homemade ice cream to new hiking boots and everything in-between…… at Acadia Shops! "Thanks for visiting and we hope you become one of our many friends!" Please join us in welcoming our newest Chamber Member, Acadia Cornerstone Real Estate! We are located on Cottage Street in downtown Bar Harbor, Maine. We are just around the corner from Acadia National Park, one of the most beautiful places in the country! Bar Harbor and Acadia are on Mount Desert Island, in an area that is referred to by many as Down East Maine. We offer our services in helping you buy or sell real estate in the area in and around Bar Harbor, Ellsworth, Hancock, Blue Hill, and Sullivan Maine. We also offer full service help with Bar Harbor Vacation Rentals for those who want to visit Bar Harbor & Acadia. 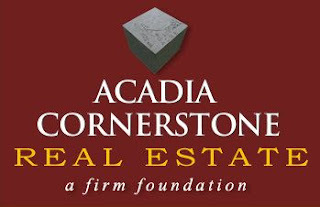 At Acadia Cornerstone Real Estate we pride ourselves in customer service, integrity and a passion for helping our clients. Whether you are buying or selling Bar Harbor area real estate, Ellsworth area real estate, Hancock area real estate, Blue Hill area real estate, Sullivan area real estate or anywhere else in the region you can rely on us to service your needs. Although located in Bar Harbor Maine, we provide service throughout the areas near Bar Harbor, Ellsworth, Blue Hill, and the Downeast region. The League of Towns, in partnership with Healthy Acadia, the Maine Center for Disease Control and Prevention, and the Downeast District Public Health Council, will host a Community Forum on Wednesday, May 9, 2018 to gather public input to guide efforts to reduce the health impact of ticks and tick-borne disease on local residents. The forum, scheduled from 6:00pm to 8:00pm at Mount Desert Island School, will feature a panel discussion with experts in tick ecology, tick population control, and the prevention, diagnosis and treatment of tick-borne illness, including representatives from the Maine Center of Disease Control and Prevention, Maine Board of Pesticides Control, primary care providers, and others. Topics for discussion will include: tick identification and the tick life cycle; tick-borne diseases that may be transmitted to people, pets and livestock; methods and techniques to reduce tick exposure and prevent tick bites; resources and support for early diagnosis and treatment of tick-borne illnesses; and more. Public input will help to guide actions to protect residents from tick bites and tick-borne illness in our communities, our municipalities, and across Maine. Residents of Ellsworth, Lamoine, MDI and surrounding communities are welcome and encouraged to attend this free event. For more information, contact Durlin Lunt, Chairman, League of Towns, at 276-5531. The League of Towns is a collaborative unit of government serving Bar Harbor, Cranberry Isles, Ellsworth, Lamoine, Mount Desert, Southwest Harbor, Swans Island, Tremont, Trenton, and Acadia National Park. Healthy Acadia’s Let's Go! Downeast initiative, serving Washington and Hancock counties, is partnering with Let's Go! Wabanaki, serving the Native American population, and Let's Go! Aroostook County to offer a robust, tri-county 2018 workshop series for child care providers. Child care professionals, who are required to complete a minimum of 20 hours of training each year to maintain certification, have found training opportunities east of Bangor to be few and far between, and often only accessible online. This Let’s Go collaboration will support child care providers throughout eastern Maine by offering a host of in-person and highly interactive learning opportunities with an emphasis on healthy eating, nutrition and physical activity. We are working closely with Aroostook County Action Program, Wabanaki Public Health and Maine Roads to Quality to offer a number of workshops and trainings throughout the year. Workshops are open to all child care providers and will include: “Active Play!” facilitated by program founder Dr. Diane Craft, returning to Downeast Maine for a second year; a 10-hour “Cooking Matters” class series designed specifically for child care facilities through Maine SNAP-Ed and the Good Shephard Food Bank; Gardening with Kids; “WinterKids;” and IDD (Intellectual and Developmental Disabilities) Toolkit training; as well as informational trainings around opioids and tobacco. Additional classes focused on mindfulness, essential oils and more are still in the works. The 2018 schedule here will be updated as new opportunities are added. Let’s Go! 5-2-1-0, a program of The Barbara Bush Children’s Hospital, is a nationally recognized childhood obesity prevention program implemented in partnership with MaineHealth. Let’s Go! 5-2-1-0 incorporates evidence-based strategies for preventing obesity with a focus on the importance of establishing healthy habits beginning in childhood. Let’s Go! offers targeted curriculum and guidance for schools, childcare and out-of-school programs, healthcare practices and community organizations to change environments where children and families live, learn and play. For more information, visit www.letsgo.org. For more information about Let’s Go Downeast in Washington County, contact Georgie Kendall at 255-3741 or Georgie@healthyacadia.org. In Hancock County, contact Katie Freedman (for childcare centers) at Katie@healthyacadia.org or Julie Daigle (for school settings) at Julie@healthyacadia.org, or call 667-7171. Let's Go! 5-2-1-0 programming is funded in part by Maine Prevention Services, Maine Center of Disease Control & Prevention Department of Health and Human Services.